- 'No deal' Brexit will prompt new record lows against EUR and USD. 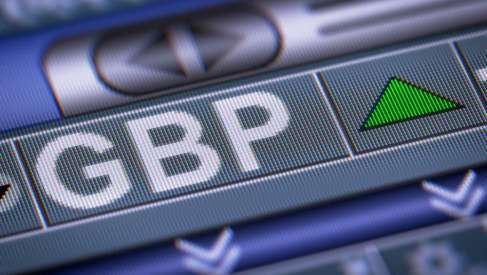 Pound Sterling will rise steadily into year-end say UK high-street lender HSBC, but the currency will have its wings clipped, even in the event of a Brexit deal being struck. We are warned too that Sterling will fall swiftly to new record lows if a 'no deal' Brexit scenario materialises, such an outcome will see a decline to 1.10 against the Dollar and parity against the Euro. Strategists at HSBC say the Pound's outlook is best viewed as a blend of all possible outcomes from the Brexit negotiations, with full single-market access on one extreme, and a 'no deal' on the other. 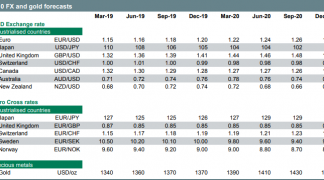 In their latest monthly review of currency markets, HSBC have produced a probability-weighted exchange rate forecast based on where the British currency would likely trade under different scenarios. HSBC's forecasts come at a pivotal time for Sterling, as officials from both sides of the English Channel draw close to an agreement on terms of the U.K.'s withdrawal from the EU ahead of the October European Council summit. If the talks fail to deliver a viable deal before early November the odds of a so-called 'no deal' Brexit will increase significantly, leading markets to fear the U.K. defaulting to trade with the EU on World Trade Organization terms. The implications for the currency are stark. "The UK government has argued that “no deal is better than a bad deal”, but we would expect no deal to be a very bad deal for GBP. 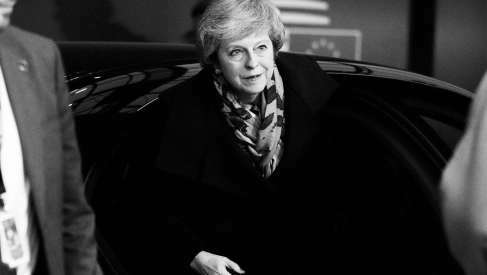 The uncertainty unleashed regarding every aspect of the UK’s relationship with the EU would be enormous," says Dominic Bunning, a currency strategist at HSBC. "We would expect GBP/USD to fall to around 1.10 under this no-deal scenario, below the lows seen during the flash crash of October 2016. 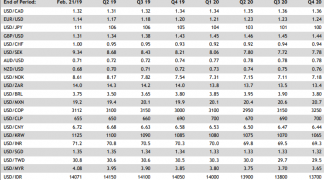 But HSBC say a "no deal" outcome will also hit the Euro as it would impact trade and economic linkages ensuring Eurozone activity and investment sentiment takes a hit. The Eurozone enjoys a sizeable trade surplus with the UK and any disruption to trade would certainly hurt Eurozone economic output. Nevertheless, the Pound will still fall notably against the Euro and HSBC say the Pound-to-Euro exchange rate would likely be pushed towards parity. While sentiment regarding the progress of Brexit negotiations has improved of late, the high cost of buying hedges to protect against a slump in Sterling confirms the perceived risk of Britain crashing out of the European Union with no deal is still high and therefore the gains are by no means secured. "Longer-term expiry risk reversals (six-month through one-year), which show the implied volatility premium for GBP puts (downside) over GBP call (upside) strikes, remain elevated," says Richard Pace, an analyst on the Thomson Reuters currency desk. Thomson Reuters data shows the one-year risk reversal, which expires after Britain's scheduled 29 March 2019 departure from the EU, remains elevated near recent and long-term highs of 2.0 volatilities for Sterling puts. A put option is an option that delivers a positive return if an asset is falling; in this case investors are able to hedge against a weaker Pound in the event of 'no deal' by buying a put option. "Outright demand for GBP put options has certainly slowed in recent weeks, but the high risk reversal bias in longer dated contracts shows the cost of hedging a GBP slide is little changed," says Pace. The British Pound is one of the better-performing major currencies this September as the chances of a 'no deal' fade in probability with both sides apparently keen to row back from such an outcome. 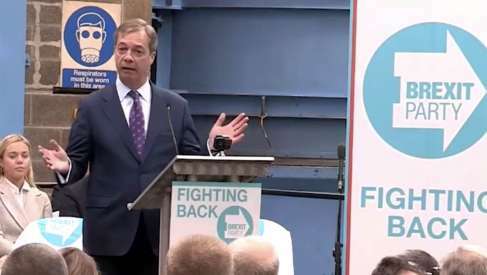 The attractiveness of the 'no deal' brand also continues to deteriorate, to the extent that the preferred outcome for Brexiteers in the UK's Conservative party is a 'Canada Plus' free trade deal. The Brexiteers form a significant bloc of opposition to Theresa May's government as they oppose her so-called Chequers plan, saying it will keep the UK aligned with Brussels law and is not in keeping with the EU referendum result. Until quite recently a 'no deal' WTO-default option was promoted as a desirable outcome that would deliver the full autonomy from Brussels many are seeking, but Brexiteers now appear focussed on pushing May's hand to alter the current agreement, as opposed to scuppering it outright. The EU's Michel Barnier said last week that a deal could be struck by early November after already having told a U.K. parliamentary committee he is open to considering alternative "backstop" proposals for how to manage the Northern Irish border if an agreement on the future relationship is not made during the transition period. Barnier's optimism gave the Pound a fresh lease of life at the beginning of September, pushing the Pound-to-Dollar above 1.3100 and the Pound-to-Euro exchange rate back above 1.12; a move which was to be expected given the Northern Irish border has been a key sticking point in the talks. Sterling's response over recent days suggests investor angst about the trajectory of the negotiations may now be easing. And in a further boost to those hoping for progress in the negotiations, The Times reported Monday that Brussels is now willing to consider proposals by Prime Minister Theresa May that technological solutions be used in order to manage the border between Northern Ireland and the Republic, which suggests at first glance there has been progress in the talks. HSBC forecasts suggest that a 'no deal' Brexit is not their base-case assumption for Brexit talks. Yet, even under HSBC's most optimistic scenario of full single market access, Sterling trades at only 1.45 against the Dollar. This is still a discount to pre-referendum levels of 1.50 or higher. Similar is true of projections for the Pound-to-Euro rate. HSBC believe continued "access" to the EU single market would be unlikely to fully repair the damage done to the currency by the June 2016 referendum. This is mostly because "political uncertainty" and the "cyclicality of the economy" would still weigh on the Pound after a deal is struck. "We do not make an explicit forecast of the political outcome, but we see a strong possibility that the process continues to drag on, and GBP/USD remains a weighted probability of potential outcomes. As such we see GBP/USD trading around the 1.30 area for the coming months, until we get more clarity in either direction on the political outcome," Bunning concludes. 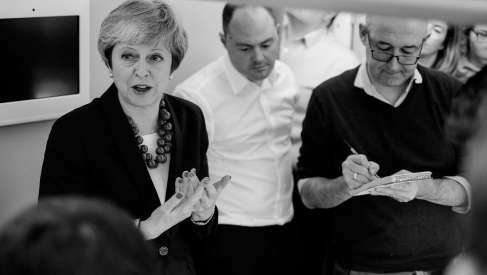 We have warned of a Brexit 'fudge' before; this is a scenario where negotiators kick hard and important decisions about the future trading relationship down the road in order to simply secure some kind of deal before year-end. There is a widely-held assumption is that Sterling can recover in 2019 on Brexit clarity, but, Brexit negotiators appear to be shaving ambition of 2018's Withdrawal Agreement. "With time running out, the prospect that much of the discussion over the detail will be kicked into the transition period suggests that GBP will not be able to rid itself of political risk next year," says Jane Foley, a foreign exchange strategist with Rabobank in London. Bunning's projection of a 1.30 Pound-to-Dollar rate at year-end implies Sterling will cede some its recent gains over coming months but HSBC's forecast for the same exchange rate to trade at 1.35 in 12 months time suggests they see a favourable Brexit deal as more likely than not. 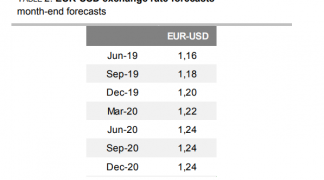 HSBC forecast the Pound-to-Euro exchange rate will rise into year-end, from 1.1234 at the time of writing back to 1.1681 in December, before climbing up to 1.1818 in 2019.